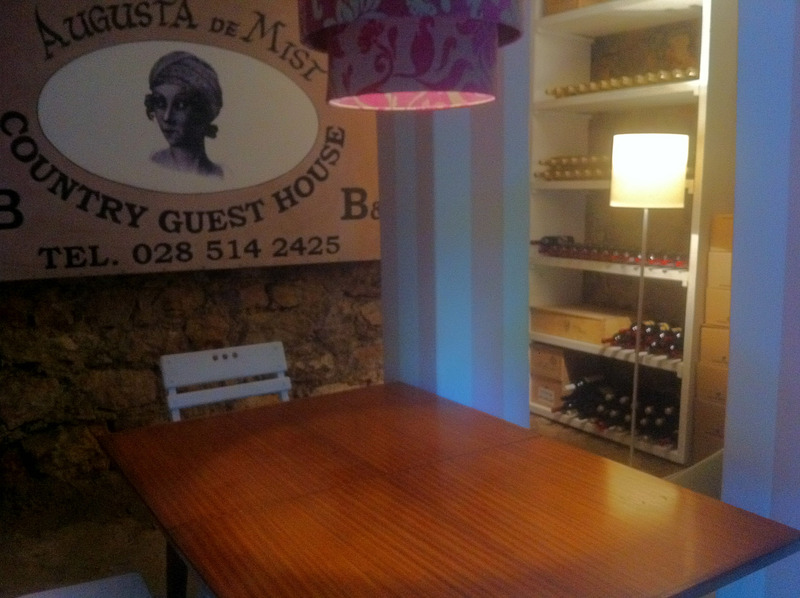 The cellar at Augusta de Mist has always been a musty old place, mostly used for storing garden tools and outside furniture but it is also a most romantic little spot with rough walls constructed from big rough stones and surprisingly high ceilings. It has always been a room with a secret aspiration to be a wine cellar, and we being the sensitive wine-loving folks we are, have finally put the finishing touches on the space to make it as inviting as possible. It is a simple, unpretentious space where our delicious handmade wine can mellow and mature. It is also a most traditional-style tasting room: small, cave-like and stripped of luxuries. It is just you, the wine, a bench and a table. Perfect.